Samir Rodriguez, a 32-year old fisherman of Trial Farm Village, was charged with possession of undersized conch today, Thursday, in the courtroom of Justice Adolph Lucas, Jr.
Fishery Officer Hector Cunningham found Rodriguez with 563 undersized conchs at the Northern Fishermen Cooperative yesterday, Wednesday, around 7:15 a.m.
Rodriguez pleaded guilty to the charge and was fined $500 for the offense, plus $5 cost of court. Rodriguez was told to pay $20 for each conch, which totaled to$11,260. Those three fines amounted to $11,765. He was given until February 14, 2014, to pay that penalty. 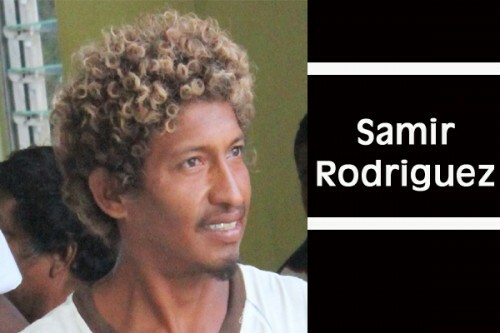 Rodriguez was not allowed to leave the court today, however, until he made a payment toward a sum of $1,035 which he owed the court since 2011 for possession of undersized conch. He told the court that he was unable to pay that penalty before because he has a family to take care of and he had a surgery that he needed to pay for.